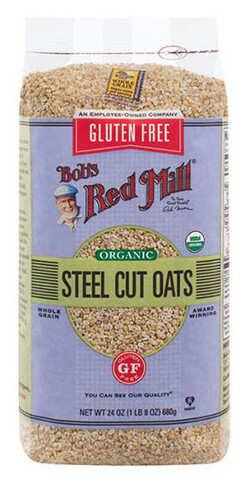 Gluten Free Steel Cut Oats are made from kiln toasted, whole grain oat groats that have been cut into neat little pieces on a steel burr mill. They are a good source of fiber and offer 7 grams of protein per serving. Makes a delightfully full-bodied porridge that is sure to satisfy your hunger. Top with classic additions like butter and brown sugar, or think "outside the bowl" and go with savory toppings like peanut butter and sriracha hot sauce! Roasting enhances that wholesome robust flavor you expect.